In January until end of March winter season in Okinawa the most popular off shore activity is always the unbeatable whale watching excursion. Every whale watching excursion is unique lots of tourist include the locals are always fascinating about this whale watching trip in Okinawa even some been to this excursion a few times, but each time when the whale appear around nearby the boat everybody get so exciting about it. 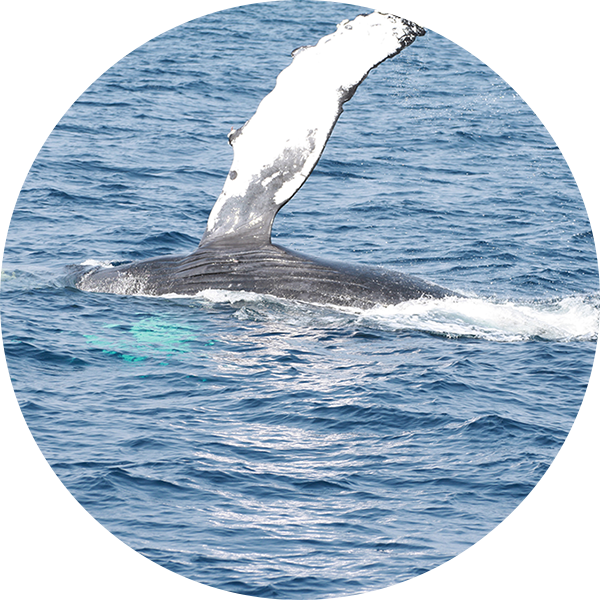 Marine House SEASIR NAHA been organizing whale watching trip since 2005, each year Marine House SEASIR NAHA team successfully recorded 99% whale spotted. With most organize and experience whale watching excursion team in Okinawa, don’t miss your trip with Marine House SEASIR NAHA whale watching excursion. 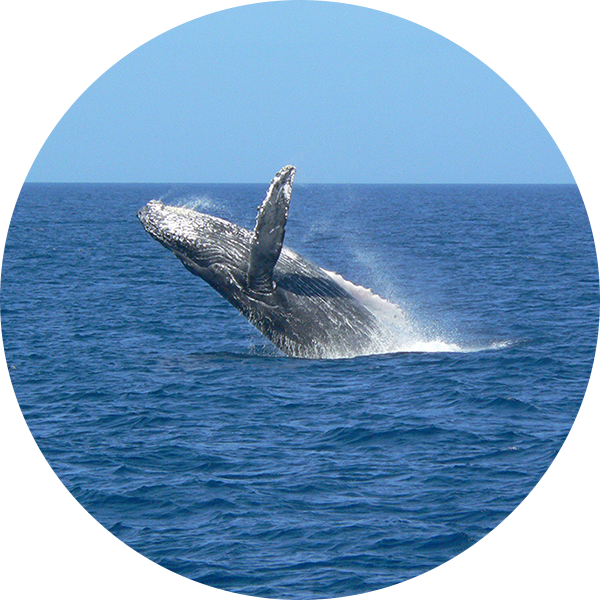 In Okinawa the most common whale spotted is Humpback Whale and dolphin (pseudorca crassidens). Most of the whale and dolphin can be spot at nearby Chibishi Island or Kerama lslands in Okinawa. If you are worry about motion sickness then eat something about an hour before or take a motion sickness medication about 30 minutes before departure. If you have kids with you, bring some snack or toys for them. Wear sneakers or something rubber soled for good traction from the wet and slippery deck. Sometimes temperature do get very cold, bring a sweater is always recommended. Bring or rent and binoculars, having a binocular will provide a close up view better that others who don’t get. Choppy sea condition or raining during the whale watching trip Marine House SEASIR NAHA will provide poncho pack for the guest. 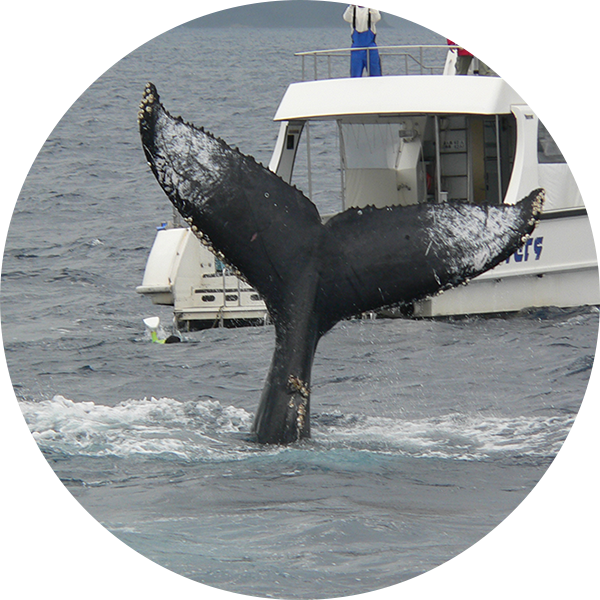 Marine House SEASIR NAHA guarantee will full refund if there is no guest see a whale or dolphin during the trip. We will not guarantee to encounter the whale during the trip in following dates, Marine House SEASIR NAHA will provide a coupon for you (no refund) if there is no whale spotted during the trip during this period of time. Infant under 3 year old, a baby carrier hardness which attached to an adult is required. Please prepare it by yourself. If the sea condition is too rocky to bring an infant, we will contact you to reschedule. Click on BOOKING NOW, you may check the availability online, after click the tour you prefer, you will require to fill in your email address as your contact. Then to receive a link for booking form, please fill in all information as required and summit. You will receive a PayPal payment request from SEASIR LTD. account, to secure your booking please make the payment within 3 days start from the day you receive payment request from our PayPal account, or within 24 hours if your booking request is less than less than 3 days from the departure date. All booking request will cancel if no deposit receive. With Infant age under 3 year old, please contact with our booking office, discussion required.